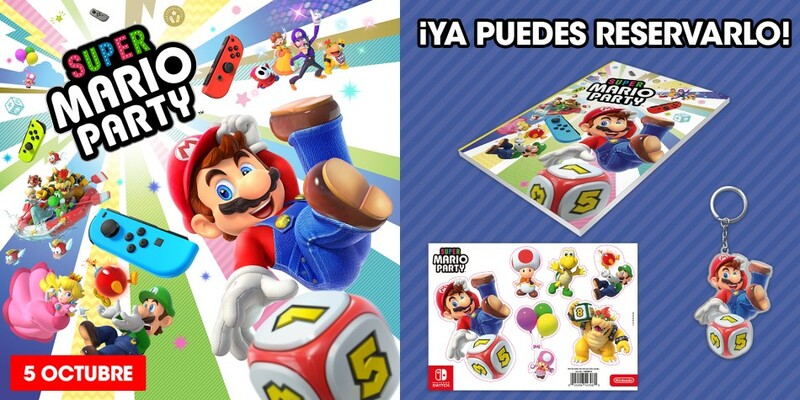 Nintendo of Europe has announced the full list of retailer exclusive pre-order bonuses for Super Mario Party in Spain. Depending on where you pre-order the game, you’ll receive either a keychain, notebook, or sheet of stickers. See the full list of retailers and bonuses below. Don’t forget to check out the pre-order bonuses for Super Smash Bros. Ultimate if you haven’t done so.